Üsküdar Çevresi: Quotation: Princeton University A World History of The World, "Railroads: Imperialism and Industrialization"
Quotation: Princeton University A World History of The World, "Railroads: Imperialism and Industrialization"
Today, we will explore how railroads affected economic development and imperialist expansionism during the 19th century. Railroads, because they were built willfully within the borders colonial powers and coercively within the boarders of those being colonized, primarily served the economic interest of imperialist nations. Self-implemented railroads within a country’s borders during the late nineteenth century to early twentieth century positively impacted national economies. Railroads expedited the movement of more people and material resources over long distances, and centralized economic power. They also served to centralize national governments, facilitating the collection of taxes and the delivering of mail. The production of steel during the 19th century expanded the number of railroads built throughout Europe and the Americas. Because railroads could transport people and products over long distances in shorter amounts of time, their creation went hand in hand with rapid industrialization and the emergence of consumerism. An instance of this industrialization can be seen in railroads eliminating the use of domesticated animals as the primary means of transportation. The construction of railroads did not, however, directly improve the lives of working and poor people during the 19th century, but did help countries acquire massive international capital. The creation of limited-liability joint-stock companies in America, along with other technological and marketing developments, aided in its ascension to become a world economic power. These companies served as a proxy by which industrialized countries could do business internationally. The establishment of these companies, however, also led to domestic economic disparity, where only elite businessmen profited off of rapid industrialization and owned the overwhelming majority of wealth in a nation. Although railroads and industrialization helped to stimulate job opportunities initially, rapid industrialization in America quickly pushed many urban workers and rural workers out of work because of surplus goods. 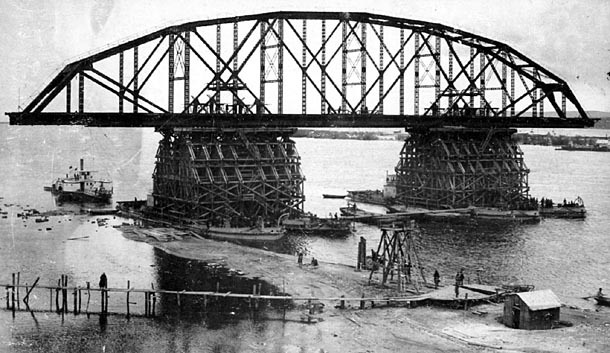 The construction of the Trans-Siberian railroad in Russia was another instance in which the working class was put under massive amounts of pressure. 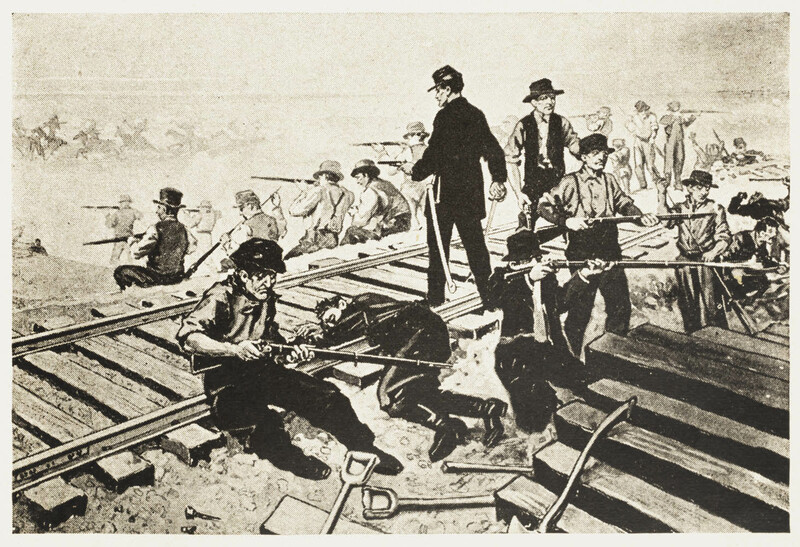 In both instances, the working class experienced a disproportionate economic drain in order to successfully build the railroads. The demand for railroads necessitated a greater number of mines as well as the acquisition of more land. In the United States, the national government distributed land grants to railroad corporations in order to build the transcontinental railroad. This reignited tensions with the indigenous population that were forcibly relocated to Oklahoma. The US push westward resulted in a continued massacre of indigenous people and their food source. There was also similar abuse of aborigines in Australia, as mines and railways were built on their land. The expansion of the railroads within these regions decreased indigenous and aboriginal populations. Railroads built in colonies were created for the profit of the parent nation. They were constructed in colonial countries to facilitate the movement of material resources to coasts, where such goods could be further transported to the shores of colonial powers. Additionally, systems of communication and transportation were established to expedite the removal of rebellious forces within colonial countries. Parent nations were able to move troops and resources quickly to fight incursion and dissent. Imperialism and colonialism further served to deplete the food supplies and populations of countries, while propping up those of colonial powers. The construction of the Trans-Siberian and Tran-Atlantic Railroads strengthened imperialist empires. Russia, to stay competitive among world powers, launched waves of territorial expansionist patterns – swelling it’s boarders to the eastern coast of Asia and colonizing cultures with which it came into contact. Railroads in the mainland US were used to expedite Manifest Destiny in the late nineteenth century, pushing the union further west until its boarders reached the Pacific Ocean. The countries that the United States annexed, some under the false promises of freedom, were functionally colonies even even though they were technically territories. The Philippines, Cuba, and Puerto were turned into “dependent clients,” continuing the one-way direction of resource extraction to the US government. Railroads built in India provide an example of their use to facilitate the extraction of material resources from the country. Railroads were built within Indian borders to most efficiently feed resources to the coasts, where the products would be carried back to England. When the resources remained within the country, they were disproportionately distributed to white settler colonialists. Additionally, railroads (along with telegraphs and post) expedited the movement of British troops to areas of discontent in India in order to quiet rebellious voices. The Meiji Restoration precipitated the building of railroads in Japan. After conflicts with China (during the Sino-Japanese War), Japan prevailed as a colonizing power, expanding its sphere of control to Korea and Taiwan. There, it built transportation, health, and education systems that favored Japanese colonialists. Japan, like Britain, extracted necessary resources from Korea and Taiwan, including rice and sugar to feed its dense population and to relieve trade deficits. Railroads created a one-way system of economic and cultural power. Material resources were drained from colonies and surpluses were pushed into the markets of colonial powers. Within colonial countries and domestically, people who were benefactors of railroads disseminated ideas of racial supremacy through tangible and intangible manifestations of Manifest Destiny (propaganda, orientalism, etc.). Railroads, and other industrializations that came during their time, led the rapid transformation of Europe and America into international economic forces. They may also be seen as tools with which colonizer countries profited off of their colonies and propagated economic disparity domestically and internationally.